The 1912 Villisca Axe Murders Blog: Ask Ed: How Did Killer Gain Entry in 1912 Villisca, Iowa Axe Murder Case? Ask Ed: How Did Killer Gain Entry in 1912 Villisca, Iowa Axe Murder Case? One of the newsletter's most popular features was a column called Ask Ed. Readers submitted questions for historian Dr. Edgar V. Epperly as we hope you will, too. Ed has researched the still-unsolved mystery since 1955 and is considered the foremost historical authority on the case. There are few questions posed on the case that can stump him. We invite you to try. 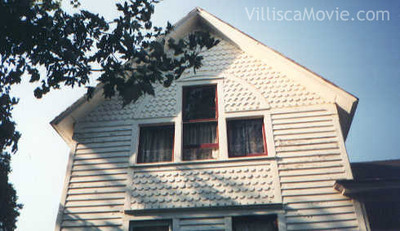 Send your queries to Villisca@aol.com. ED: We are a good deal more confident of how the killer got out of the house than how he got in. The early investigators found all of the exterior doors locked and the kitchen screen door was hooked from the inside when they arrived. All windows but two were also locked from the inside. Close inspection revealed that the two unlocked windows had not been used for either entrance or exit since one was blocked by a sewing machine and the other had an unbroken spider web that showed it had not been opened. Consequently, it has always been assumed the killer sealed the house and left through the front door which he closed and locked. Since the front door key appeared to be the only thing missing after the murder, it is further assumed the killer took the key with him. Turning to your harder question, “How did the murderer enter the house?” we are not so sure of the correct answer. Burns Detective James Wilkerson produced a witness (Ed Landers) who testified Albert Jones “walked right in” the front door about 8:30 p.m. on the murder night, supposedly to place William “Blackie” Mansfield in the upstairs closet where he could await the family’s return from church. Reverend George Kelly, the other primary suspect, says in his confession that he found the ax in the back yard and, following God’s command, (he) “went around towards the front door.” Both these witnesses suggest the killer entered the front door finding it unlocked. Unfortunately both these witnesses are flawed. Ed Lander’s wife was walking with him that Sunday night and she denied seeing anyone walking in front of them or entering the house. Reverend Kelly later repudiated his confession and the jurors at his trial agreed with that repudiation. Police and detectives during the early investigation were all convinced it was a wandering killer who had entered through the kitchen door at the rear of the house. After all the ax was picked up in the back yard so it would be logical for the killer to enter the house through the back door. This entry would have been facilitated by the relative isolation of the Moore’s back yard. There was only a barn and vacant lot north of the Moore house with houses to the east and west at least partially screened by bushes. Therefore most people assume the killer picked up the ax in the back yard and let himself in through the back door. Since there was no evidence the back door had been forced open, he probably found it unlocked. I have not heard nor read of the back screen being damaged and am quite sure it was not cut. The moral of this story seems to be that even in a small town it pays to lock your doors at bedtime.